For five years in the early ’90s, I lived two houses down from Tom Lippert, the now-deceased fertility-clinic worker known these days for switching out his sperm and fathering one (or many) children. But even before Tom Lippert became a salacious national story, giving birth to taglines like “sperm switch,” he was a notorious figure in my community. Our neighborhood was close-knit and caring, full of families with young children, many of whom were Cub Scouts—we lived on an average, curving suburban street filled with ramblers and split-level homes. People there knew each other and interacted regularly. Parents formed carpools to share the task of driving kids to school. The local LDS Church wardhouse was often unlocked in the evenings, when groups of boys played basketball far into the night. There were always enough fun-loving children for my kids to each have several friends. Julie Lott, who eventually bought my house and lived by Lippert during his scariest years, from 1994 to 1999, remembers him sitting in his driveway with Greg, his so-called bodyguard and handyman, getting drunk and yelling at every kid who passed by. “He had this notion that if any kid was near his yard, it gave him the right to be abusive,” Lott says. And his deceptions had a more violent streak, too. Lott was standing in her living room one night when boulders the size of cantaloupes suddenly shattered every window that faced the street. “I felt instant cold air and thought, ‘I’ve got to get my kids out of here,’” she recalls. Lott’s wasn’t the only rock-throwing incident on our street. Nielson’s panoramic front window was broken twice, and the local bishop’s front window was smashed, too. “His wife happened to be awake and she saw a man she thought was Tom, limping and running away at 2 a.m.,” Nielson says. A few months before that incident, Lippert had broken his heel, his widow, Jean, explains. Nielson recalls that neighbor Elizabeth Grannis told him she’d seen Lippert trying to access his house, which he’d locked himself out of, by pushing his large wheeled garbage can next to the gate to his backyard and climbing on top of it. He fell off the garbage can while trying to lift the gate latch and broke his heel. Lippert consistently hinted at having grandiose hidden agendas, Nielson says; he at times mentioned that he was involved with the CIA or that he’d gone to Cuba and talked to Castro. While we knew Lippert was strange and sometimes scary, we never knew the real Lippert, whose life was built on deception, bullying and alcoholism. None of us knew that Lippert had served two years in prison for kidnapping Purdue University student Susan Cochran in 1975. We never guessed Lippert had been a law professor by the age of 26, or that he’d lost his license to practice law because he’d been convicted on conspiracy charges after the kidnapping. 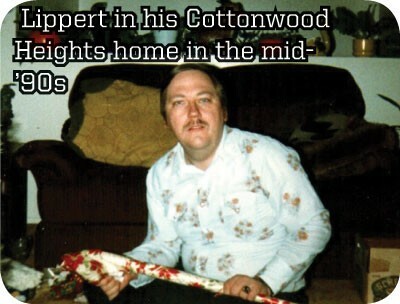 Lippert had found Cochran from a “ride wanted” card she’d posted and picked her up from the campus Alpha Chi Omega house. He’d conceived of the idea of performing “love experiments” on the girl, which included locking her in a black box and giving her electroshock-therapy treatments in hopes that he’d brainwash her into falling in love with him, according to court documents. He accepted a plea bargain that reduced the kidnap charges to conspiracy on condition that he submit to psychiatric treatment for 90 days. Years later, though Nielson and Lott made several calls to the sheriff, the Salt Lake County Sheriff’s Office shows only one arrest record for Lippert. On May 2, 1998, at 11:18 p.m., he was arrested for “disorderly conduct and interfering with a public servant.” He never served any time for the vandalism. 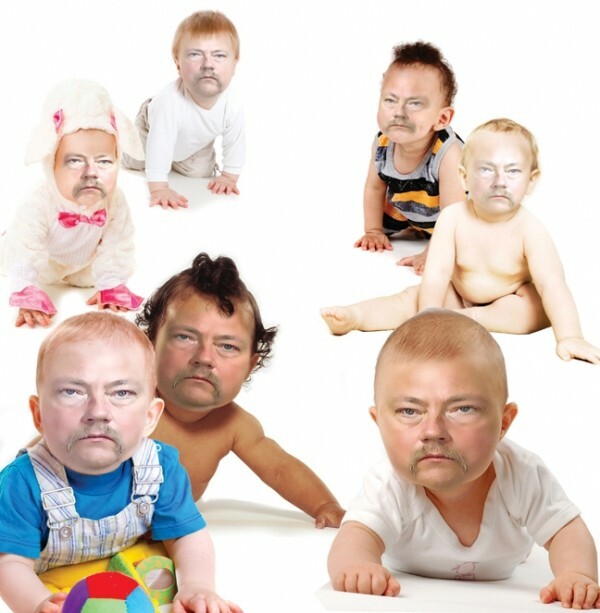 And as with the sperm-switching, Lippert was never punished for the vandalism. “The only people who ever paid were his victims,” Nielson says. When I first met Lippert’s widow, Jean, who was married to him for nearly 20 years, I thought that the calm, dignified brunette, who worked as a nurse, was the sensible “straight man” to Lippert’s flamboyant eccentricity. I had no idea, and neither did anyone else that I know of, that he held her captive through fear and intimidation. In Minnesota in the late ’70s, as the time of his jail release grew near, Lippert ran a classified ad, seeking a pen pal to write to him. Jean answered the ad and they corresponded. 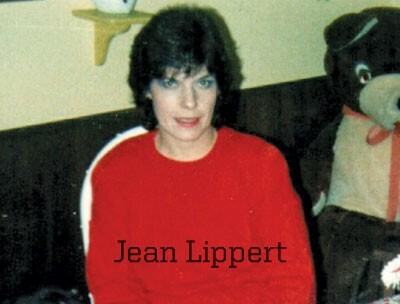 Jean first met him after his release, when a friend of Lippert’s hosted a party for him at his house. The two soon began dating, though his halfway house was about an hour from her home. She worked evenings, so he came over during the day. “He had to be back by a certain time, but we could spend a lot of time together during the day,” she recalls. She was a nurse, and Lippert talked about wanting to go to medical school. “He wanted to go to medical school in Wisconsin and to establish residency there,” Jean says. “So he thought it would look good if we married there.” Six months after they began dating, they married in the office of a Wisconsin justice of the peace. “He wanted me to quit my job and try to get a job in Wisconsin,” Jean says. “I had just a year to go on my LPN [licensed practical nurse] retirement, and was not going to lose that retirement because he wanted to move.” So they lived in her Minnesota home, and he drove to Wisconsin every week and came home on the weekends. In 1988, Lippert decided to move to Salt Lake City because he knew someone at BYU. He completed several pre-med classes there, with the hope of someday attending medical school, and got a job at the University of Utah’s Community Laboratory at Millcreek, later called Reproductive Medical Technologies, Inc. Still, he always yearned for his lost potential of working as a law professor.